When buying solid hardwood flooring only the best brands give you standout quality. Engineered Wood Flooring dominates the market for wood flooring these days, decreasing the number of solid hardwood manufacturers. Some good news comes out of this scenario, as it’s now easier to identify the best brands from poor ones. Meanwhile, plain old solid hardwood doesn’t cut it anymore, especially considering different applications and niches for this material. Buyers now look out for special qualities, unique appeal and species when it comes to solid hardwood flooring options. Considering this, we’ve gathered the following top brands for different needs and niches in this field. With over 4,000 stores collectively, mostly through Home Depot and Lowe’s, Bruce stands like the McDonald’s of hardwood. So, if you suddenly just have that impulse to remodel your place, Bruce makes hardwood easily accessible to you. Note however, that installing hardwood takes a lot of time and a steep learning curve to DIY. With this footprint, wherever your location is, Bruce won’t be too far a drive a way. This means quicker purchases, a physical view of the product, and even easy returns when necessary. It’s already great that this removes freight costs, but easily returning extra stocks or whole batch helps a lot too. See, online stores usually offer free shipping for your purchases. But free freight costs for returns? That doesn’t always come with the deal. If you’re headed to Bruce though, you can expect to find mostly domestic oak making up 67% of their catalogue. You’re not likely to find distressed or hand scraped finished material either, if you do, that would be quite rare. You’re bound to walk out with more basic options rather than exciting ones, but you’ll get something good enough. While options may be limited, if you’re out for something quick and easy to get, Bruce is the place. They have a good footprint, giving you access to actually see the options available and take your purchase home from there. Moreover, if you do have to return extra flooring, it’s easily just a drive away for most places. For needs that are more of utility and quality than aesthetic and personality, Bruce will do fine. However, if you’re looking for something a little more sophisticated and unique, a specialty shop maybe a more suitable stop. Wooden planks line the floors of most historic homes (the domain of the elite and wealthy). While planks own this reputation of being for high class, Carlisle’s comes to the market to make it more accessible. 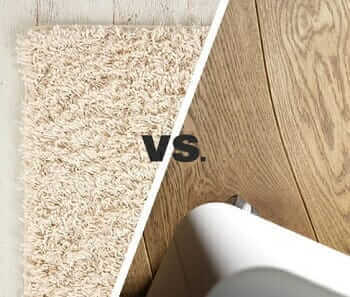 Moreover, the brand allows other homeowners to appreciate it better vs. “commodity” flooring as they call it. Bruce tries to take away this loft reputation from plank wood flooring; however they still come at higher prices. That’s the truth of it, no matter what brand you choose, especially compared to any 3.25” solid wood floor. Plank wood needs premium center-cut parts, making it more difficult to mill. Dan McMillan from Carlisle explains that “commodity” or cheaper wood flooring is instead cut from every other part of the tree. These come at a range of one to six feet in length, while genuine wide plank flooring only comes from the trunk. Since it’s cut from the strong thick center, this gives you stronger and superior material. While plank wood doesn’t come as cheap, they have their own benefits, especially in longevity, durability. Moreover, this air-, kiln-dried center-cut material proves more stable against humidity outliers. So considering that, you’re still getting good value for money. Bruce factory-finishes their plank wood with a tight site-finish. It’s one other thing that many people like about this 40-year old brand, since this means tighter and better adhesion of finishing. It’s easy to appreciate this over the think onionskin quality to ordinary factory-finished wood. See, factory-finished wood needs chemical stripping, which means extra work and extra costs. Meanwhile, site-finished flooring makes sanding a lot easier. Plus, in the case of decreased humidity you won’t need to sand and refinish, it gets re-acclimated when humidity returns. Some appreciated the quality though note that it’s pricey. Some found their transaction challenging when they were changing sales teams. Wood plank flooring can be pricey, but many find it worth the spend. So, if you’re looking to add more personality to your flooring with wood plank flooring, you have to checkout Carlisle. They’re truly passionate about their product and business, and provide only the best in quality, both in their products and service. 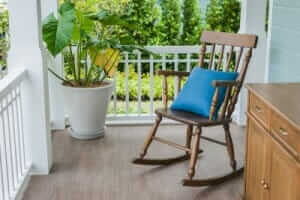 If you can afford it, the extra cost means extra sturdy and long lasting wood flooring. With Carlisle’s products, you get good value for what you spend. The name almost already implies it, Lumber Liquidators brings you a Costco like experience when it comes to good deals. That means weathering some pain for the gain of great deals and savings. The pain from the experience won’t exactly mean extremely long lines and unreachable shelves. In the case of Lumber Liquidators, it’s the very small stores, non-existent service for loading, and borderline rude service. Moreover, Yard Sales won’t mean new products, just stuff sitting 10-feet back from the warehouse pushed out to view. Now, what’s to gain? Well, they do really have super low prices. If you make a point to checking out what’s on sales regularly you’re bound to land rare eccentric finds. 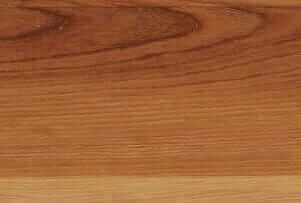 Perhaps you have a taste for cherry piano-finish flooring (glossy). You can score over 130 feet of that at the cost of pennies per square foot. Note that the store’s Bellawood doesn’t have the best quality (though priced for it). Moreover, you’re bound to find plenty of bad stock and short boards alike. However, if you’re more or only concerned about squeezing on every dollar, then nothing beats Lumber Liquidators. Some deals on Lumber Liquidators can give you quite a rush. So much that their price comes as the baseline of even other professional flooring installers for coming up with a safe mark-up. That in itself says a lot about how low they can go. If you’re after crunching that dollar, then Lumber Liquidators is the place to go. Be warned however that cheap comes at another price (in terms of effort and sensibility). However, with some patience, sensibility and effort, you’re bound to get a good deal and hefty savings with this store. 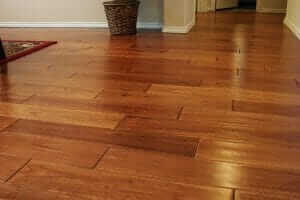 This Pennsylvania based company takes specialty hardwood flooring with high passion and dedication. Managed by the Hearne family, the store brings you varieties procured from South America and other regions producing wood. Moreover, these buying trips are dedicated to only getting the best domestic and exotic species to offer on their store. Hearn holds over 140 varieties of domestic and exotic species, including unique variants in their catalogue. The business feels more personal than commercial, not the kind you’ll find on the Discount Flooring-O-Rama store. See, they’re keeping a lofty collection with unique finds other than ash and chestnut. Ever heard of Monkeypad, Tulipwood, Paduak, Bubinga, and Shedula? You won’t find them just anywhere, but Hearne keeps stock. If they ever do run out of stock, they can hook you up with any of these rare or common species. Moreover, it’s not just the variety that’s great, they all come in premium high-grade quality, even musical instrument grade. More than get you great wood, Hearn also holds a huge 67” band saw on-site, as well as a wide belt sander. With this, you can get custom-made pieces (anything from soup to nuts) completed at their 50,000 square-foot facility at Oxford, PA.
Hearne’s facility comes equipped with giant machines and even a dehumidification Kiln with a 15,000 board foot drying capacity. They’re equipped to provide service at a scale along with their already unique and wide collection. If you’re up for only the real stuff, Hearne gives you premium products with a premium service. While it does come at a price, it’s worth every penny. If price doesn’t concern you and you’re looking for something worth the splurge, Hearne is your best bet. Many customers post long raving reviews about their Hearn experience, all noting the excellent quality and personal service they received. With their wide catalogue, well-equipped facility and excellent service, you can expect nothing less than the best. Reclaimed wood definitely has its charm (its benefits for the environment aside). However, consumers find it hard to trust in the quality delivered by most companies who provide reclaimed wood flooring. It’s mostly because of wrong product details, out-of-date pricelists, and the like. Trustworthy reclaimed wood flooring retailers don’t come abound on the market of wood flooring either. However, standing out in this market, The Woods Company comes in with reclaimed wood as their forte. The Woods Company believes in the value of beautiful native hardwood, so much that they’re dedicated to saving them. No good wood wasted when they convert these to useful products. It’s why they have a wide catalogue. The store offers oak, walnut and heart pine species for reclaimed engineered wood flooring. However, more than just the species themselves, it’s the antiquity of these materials that give them their unique personality. Moreover, patterns aren’t always standard adding aesthetic and personality different unmatched by mechanically scraped distressed wood. You’ll find that TWC recently included new wood in their catalogue, however, their forte remains with reclaimed wood. Meanwhile, if you’re worried about reclaimed flooring’s durability (being beat down as old flooring), you’ll actually find otherwise. See, these woods don’t actually come from old flooring. Pete Mazonne from TWC explains they begin with “beam stock”. 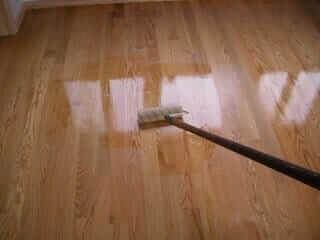 See, only a small portion (generally maple) would have come from flooring originally. Distressed parts of beams are cut removing the distressed grade from the material. The process of reclaiming wood from the beams keeps only the inner cuts resulting to a lighter patina. This also means a decrease in the distressed rustic appearance, fewer saw kerfs and know, less nail hole and checking. As with most niche flooring retailers (included TWC), reclaimed wood flooring comes at higher costs. The price you pay for some personality and beauty, but well expect for its quality. But for consumers with an eye for good deals, TWC holds a “Specials” section for bargains. These “Specials” give you access to a limited volume of reclaimed and new flooring at a bargain price. If you have your credit card ready and they have the quantity you need, then you’re in for a treat. Maybe seven bucks for antique heart pine and chestnut? You got it! Reclaimed wood flooring definitely has it’s unique romantic appeal, and TWC does them excellently. They work it with a passion and it reflects well in the quality of their products. Because of this, TWC continues to receive high customer satisfaction ratings. Moreover, it’s a go-to brand of designers when it comes to reclaimed wood flooring.